Great concept but I think it would be a little more fun if your levels were not obviously computer made and made by humans instead. It would also be fun if the towers are a little tougher. I mean I am like level 80 and it is not even hard. I guess that is too hard with computer generated levels though🤨. 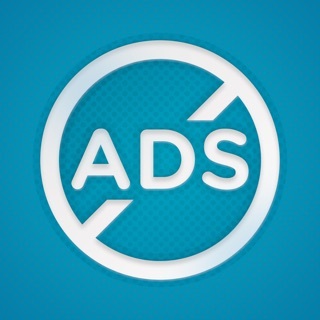 Ads are a little annoying but for those who want to avoid them you can just turn you internet and data off. There you go. You would miss out on anything if you do. So this was not an issue for me but it was very satisfying at first until it felt repetitive. It needed something else to spice it up later on. Again that would be too hard with computer generated levels. I notice you do that with a lot of your games too. I suggest you stop that. It makes the game get old real fast. I hear a lot of my friends play your games and love them. The problem is I have not heard any of them continue for 3 days. A lot of thought gets put into these games. You are kind of throwing it away. It is a shame really. Your games have a lot of potential. This game is very unique. So this game is a very intelligent and great app for you do when you are bored. But this game is sooo annoying because you have to restart a level if you hit the blocks. To me it’s just stupid and a waste of time. I am only giving this a two star rating when I think it should get one but I am giving two because it is ok. This game also has ATON of annoying adds. Some that have no purpose, and some that have nothing related to this app. Which I think if you are going to have adds than it should be relating to the game. I do not recommend this game if you have nothing to do and and want to play a game. The only good thing in this app is if you make it to the end of the round than it is just a free run, but it makes no sense. This game is just NO SENSE!!! It makes you go crazy!!! Trust me if you just want something to do skip this app and get another app!!! PLEASE! Maybe just even download like a game where you can win all the time! But not this one. But I will keep this app because my friend likes to yell at this game! So yeah. Thank you for your understanding. This purchase will remove ads from the game.